The Finn fits fast, and fixes firmly. The Finn is about as minimal a phone mount as you can imagine. 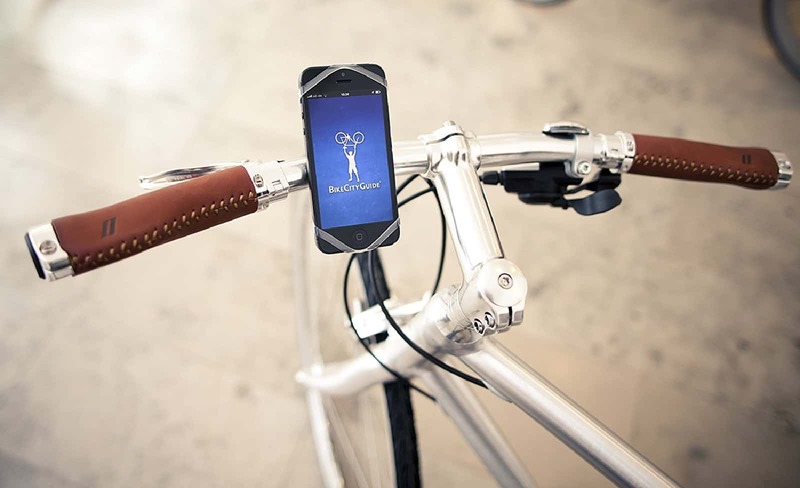 The silicone loop wraps around the handlebar of a bike, stroller or pram, then hooks over the corners of the phone. It’s an ingenious design that seems fragile, but is in fact very secure. The Finn is also cheap enough to buy for multiple bikes (but it’s so easy to deploy that you really only need the one). Dedicated cyclists might prefer something a little sturdier, but now that iPhones are so tough, and also rainproof, there seems little point in buying anything else for most people. And yes, the Finn is designed for cyclists, but it works just as well on any kind of handlebar. In addition to the above-mentioned pram or stroller, you could use the Finn on the arm or the back, of a wheelchair, the handle of the refrigerator door or even a shopping cart. It might be the most versatile iPhone accessory around. Desk docks are very convenient. The original iPhone came with a dock in its box, but these days you get nothing but a charger and a pair of earbuds. That doesn’t mean that a dock isn’t useful, though. If you spend a lot of time at a desk, then being able to just stab the iPhone onto a waiting Lightning plug is quite convenient. 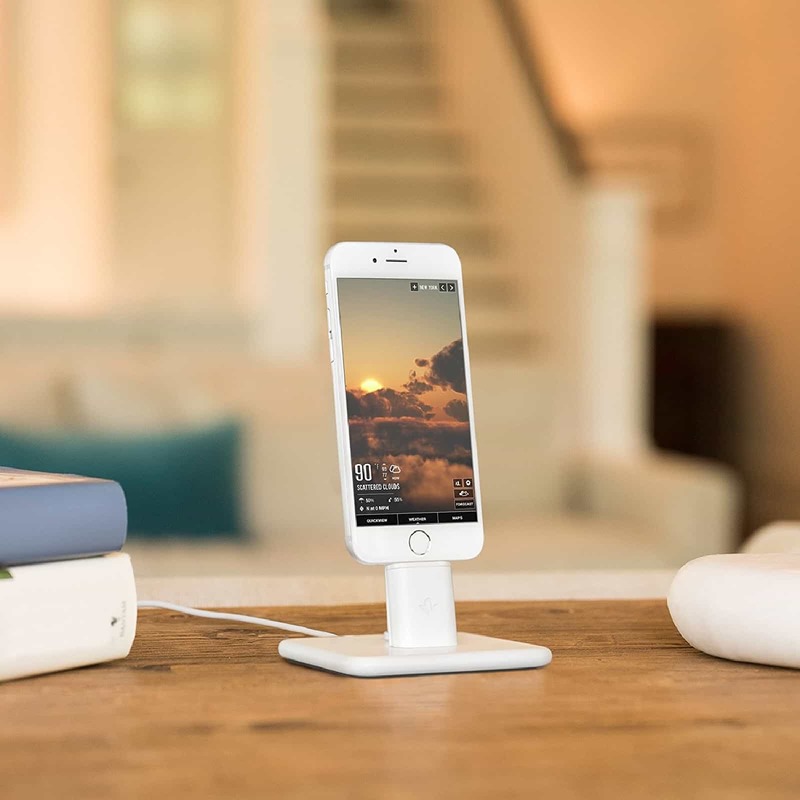 Twelve South HiRise 2 is similar to the docks that Apple utilizes in its own stores, in that it uses the Lightning connector itself to take the strain. 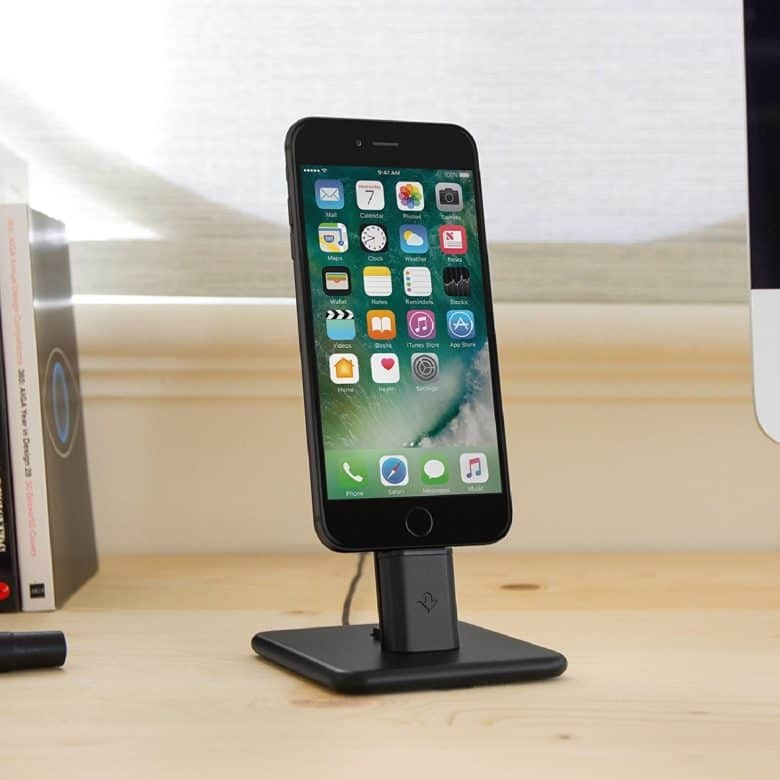 The HiRise 2 adds a supportive back panel so you can stab at the iPhone’s screen while it is docked, something that doesn’t really work with Apple’s version. The back panel also means you can use an iPad on the HiRise, too, but it’s going to be a bit wobbly (you probably shouldn’t try if you have a 12.9-inch iPad Pro). Maybe the best thing Apple has invented in years. If you’re planning to use headphones with an iPhone (or an iPad, Apple Watch or Apple TV), you should get Apple AirPods. They’re not cheap, but they are one of Apple’s best new products in years. You might even argue that they change how you listen to music in the biggest way since the iPod. From easy setup to everyday use, the AirPods exemplify the “just works” tag. To pair them, you open the plastic charging case. To use them, you do the same, and whichever device you’re currently using will connect. Thanks to Apple’s W1 chip, the AirPods have a psychic connection with your devices that translates into an almost total lack of any setup. Once paired to your iPhone (by opening the case, as I mentioned), they are paired with any of the devices connected to your Apple ID. That means you can switch between devices seamlessly. The only downside of the AirPods is fit. If regular EarPods don’t fit your ears, these likely won’t either. They are quite similar in design. 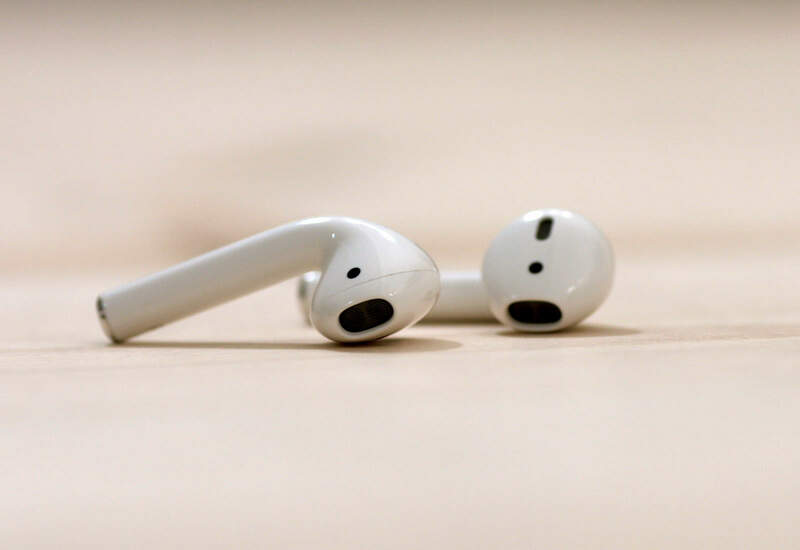 However, because there is no cable to yank them out of your ears, you can jam the AirPods in, then twist them up and out, and they might stay put. This works for me. It means they stick out and look super-dorky, but they stay sealed well enough to cut out traffic noise. And they don’t shake loose. The TechMatte amFilm fits perfectly, and is very hard to scratch. The best screen protector for any iPhone is the TechMatte amFilm. 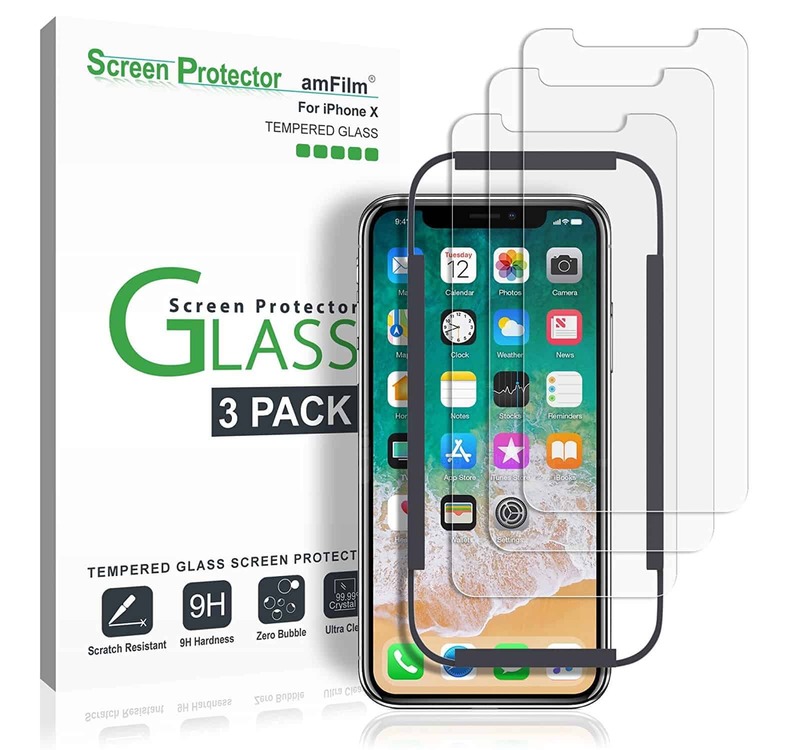 It is very inexpensive, it comes in multi-packs so you can split the negligible cost with a couple of friends, and the iPhone X version even comes with a tool to help line up the screen protector when fitting. The TechMatte amFilm is just 0.012 inches (or 0.3 millimeters) thick, and comes with an oleophobic coating, so it should stave off greasy smears. One thing to note about the TechMatte amFilm is that the cover stops short of the curved edges of the iPhone’s screen. It only covers the flat part. This stops the edges of the cover from lifting, but might take a bit of getting used to. By all accounts, the edges of the protector area are all well-rounded, and it is highly scratch-resistant, according to Wirecutter. As a responsible human being who wants to reach old age, you obviously use Do Not Disturb While Driving to make your iPhone safe while you navigate the most dangerous part of your day. But you might still like your iPhone to charge while it ignores you. Or perhaps you are using a satnav app, or you have a child in the car who needs to be fed its staple diet of kids’ TV on the iPad. 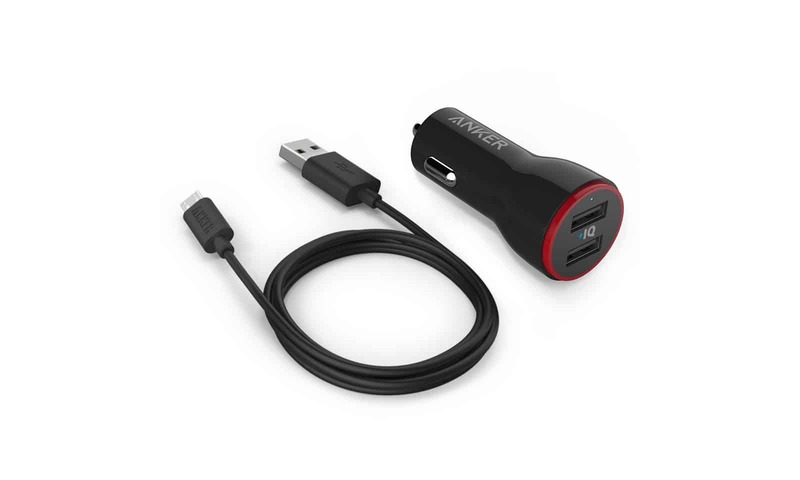 Whatever your need, you can turn the car’s cigarette-lighter socket into a dual-USB port with Anker’s 24-watt Dual USB Car Charger. The unit puts out 2.4 amps per port, so it can fast-charge a couple of iPads if needed. And that’s all there is to say about it. Lord knows why cars don’t all come with USB ports as standard. 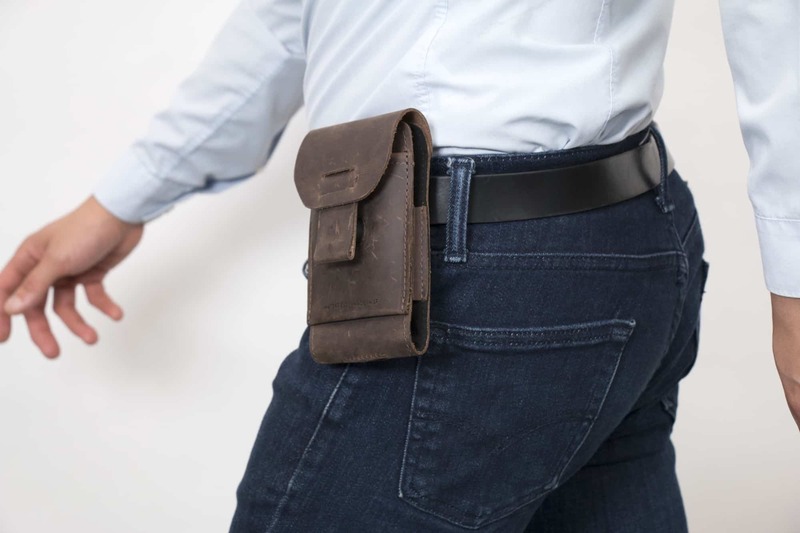 There’s little in this world that’s dorkier than a leather, belt-mounted pouch for your cellphone, but if you’re a dad, or you’re shopping for your dad, or you’re anticipating that daywear will soon become as hot, fashion-wise, as mom jeans, then you should take a look a WaterField Designs’ Ranger iPhone X case. 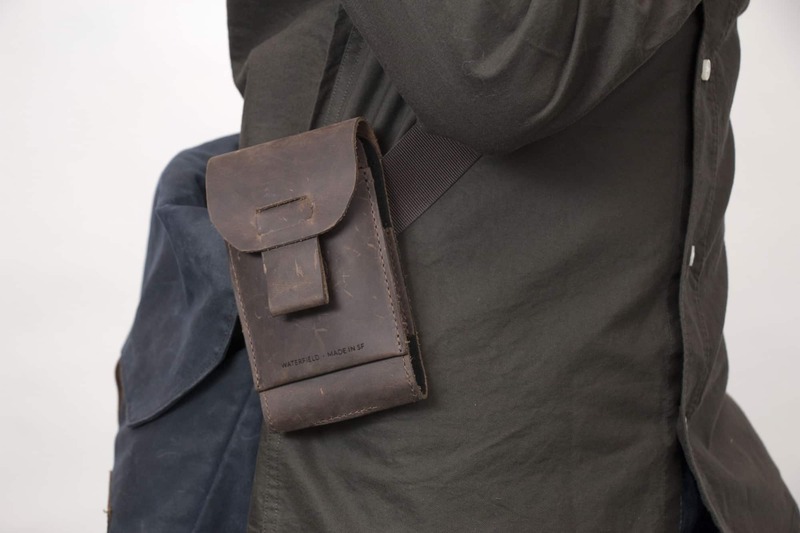 But if you clip the pouch to the straps of a roll-top messenger backpack, then it actually looks cool. The Ranger packs an extra pocket on its front for your earbuds, and the main section closes with a magnetic clasp. There are a ton of great, compact Bluetooth speakers around, but none of them will sound as good as the iLoud by IK Multimedia. 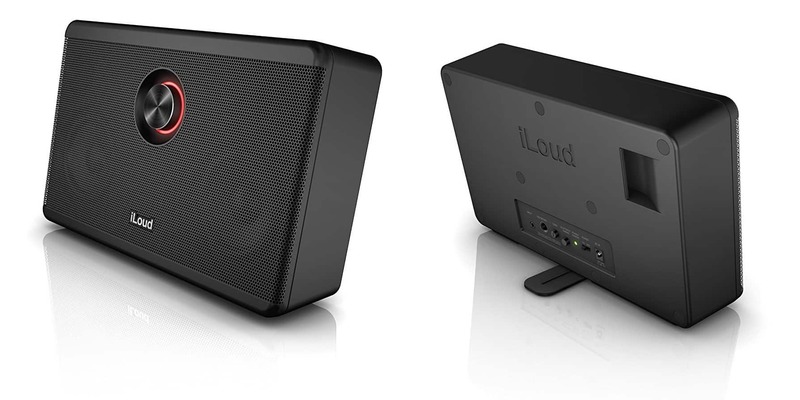 Originally meant as a way to hook up your guitar to an iPhone, the iLoud is now much better-known as an awesome, monitor-style speaker. I’ve had one for years and still use it daily. It’s good for music, movies and also for hooking up to GarageBand to make some music (with a guitar or anything else). The iLoud is in fact very loud, and it gets most of the way up the dial without any distortion. It is also crisp and clear, and the bass port around the back lets it deliver plenty of low-end grunt. In short, if you can’t annoy your neighbors with the iLoud, then you’re doing it wrong.